Robroy is a very famous cocktail worldwide, which is made with Scotch whisky and named after Scottish folk hero Robert Roy Macgregor. 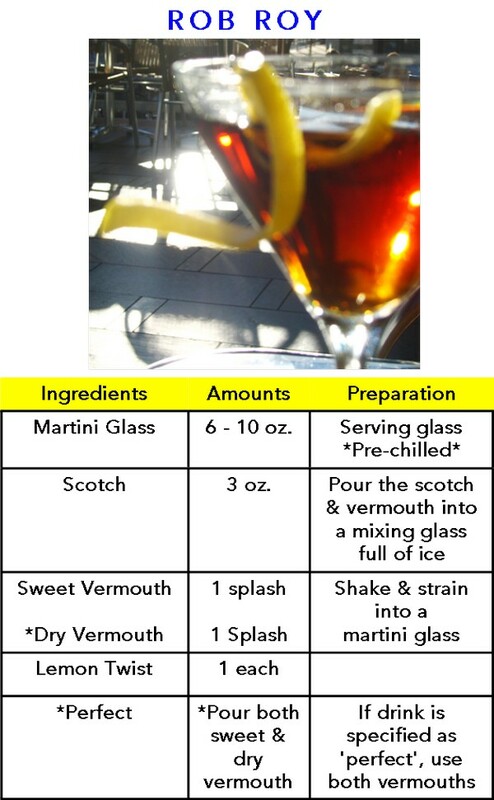 The other ingredient added is sweet vermouth and a dash of Angostura bitter served in a chilled cocktail glass and garnished with maraschino cherry. The traditional use of Angostura bitter is becoming less common now- a- days. A point to note that in Manhattan cocktail normally rye whisky is used while in Robroy it is always Scotch whisky.